A handy guide to England's most dramatic castles and strongholds, many of which are open to visitors. Includes an eight-page map section showing the locations of castles covered in the book. Features historical background and architectural details for each of the castles, accompanied by beautiful colour photographs. The book covers the major sites of Windsor, Warwick and Leeds Castle, as well as lesser known fortresses scattered across the country. Includes details on the property's custodianship, whether cared for by the National Trust, English Heritage or another body, a description of the gardens where relevant, location, website and phone number. 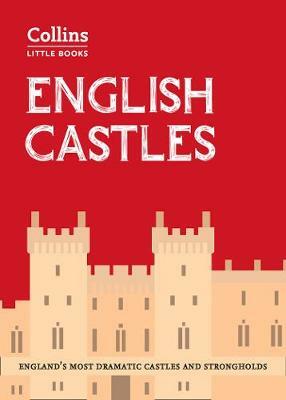 * A concise guide to English castles in an accessible format. * Of interest to English, local and architectural historians, as well as international visitors to England.